What Is GCBC All About? 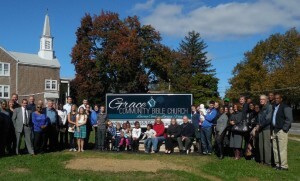 Regularly attend our weekly worship service, connect with others by getting involved in one of our Life Groups, because life is done best with others, discover your area of interest and serve others by consistently volunteering in one of GCBC’s ministries, as well as serving others around you in your community. Connecting people to God… GCBC helps you to connect with God several ways: By proclaiming the life saving message of the gospel where you have a chance to here how God loves you and how to begin a relationship with Him through faith. By our strategically designed weekly worship service where you will find engaging music, culturally relevant messages from God’s Word, and a loving and supportive group of people who share the same struggles and desire to know God and live for Him as you do. By our weekend seminars that are held periodically throughout the year which are designed to strengthen your relationships, further your understanding of God’s Word and its application to your life. By encouraging you in your personal time with God each day where you spend personal time with God in prayer, reading, thinking upon, and structuring your life around God’s Word. We connect with God to be forgiven of our sins, to be brought into His family, to enter into Heaven, to experience His love, peace, power and direction in life now. Connecting people to one another… GCBC helps you connect with others within the church a couple of ways: By encouraging and providing you with the opportunity to get involved in one of our Life Groups . We connect with one another through living life together in community. You can find a description of our different Life Groups by clicking on the Ministries button. By encouraging and providing you with opportunity to volunteer alongside of others in your area of interest in one of GCBC’s ministries. We connect with one another by serving alongside one another in ministry. We connect with one another to build one another up in the faith and encourage and support one another in our daily lives. Connecting people to their community… GCBC helps you to connect with your community a couple of ways: By encouraging and providing you with the opportunity to get involved in one of GCBC’s outreach ministries to the community. By encouraging and equipping you for service in your community by volunteering in your community in an area of your interest. We connect with our community to build relationships with those around us that we might have an opportunity to share with others about God, His love and salvation and begin the process of connecting them to God, one another in the church, and their community, so that God’s family will continue to grow in the depth of their faith and grow in the strength of numbers. Our church has been in existence for over 125 years and we believe it is time to change some things around in order to better meet the needs of our changing community. We have begun with our new name, which we hope will communicate our desire in reaching out to our community.